Many young learners have a short concentration span and art lessons are a perfect way to capture and hold their attention in class. At Loreto, we are working with our learners at an early age to help them to develop basic art skills with the help of our student teachers. 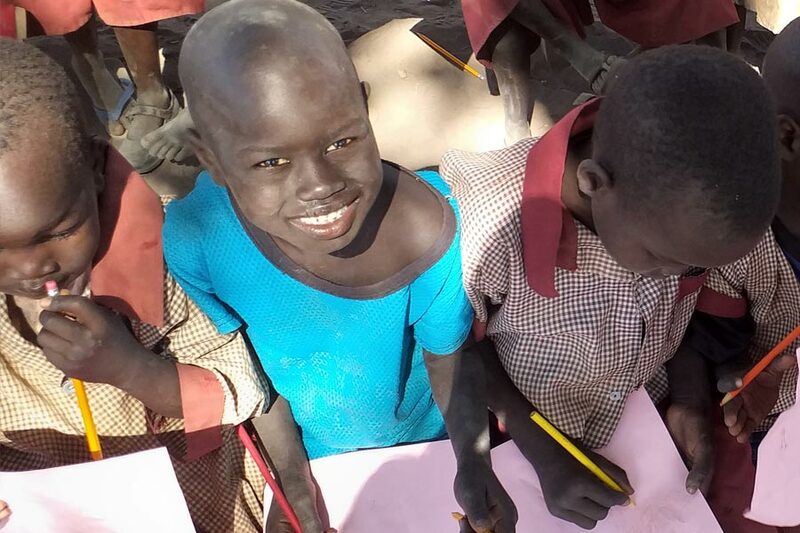 Twice a week, some of our student teachers work with the lower primary students for one hour, learning how to control a class and helping their young students to resolve conflict – promoting a peaceful and conducive learning environment for all. 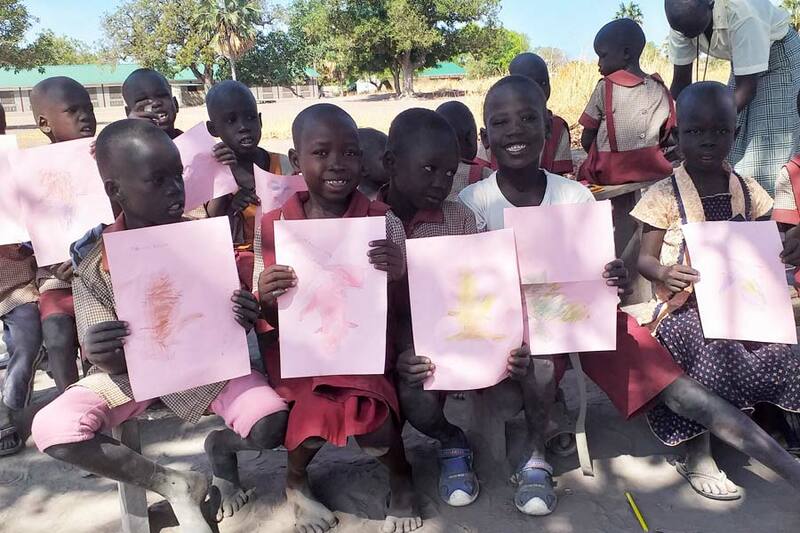 Earlier this year, these student teachers were trained in creating and managing art lessons by our resident primary school teacher trainer, Ms. Rita Achieng, with the support of Ms. Joy Chao. The training is supported by MCC and aims to provide student teachers with the skills to help students with self-management, stress relief and peaceful conflict resolution. The art lessons have equipped the student teacher with skills to help calm the little ones and resolve conflicts among them. “When pupils disagree as it happens sometimes, we separate them. We find out the source of conflict and then talk to them and make peace. We bring up a song they like or have interest in and they will be happy again and forget that unhappy moment. We can also introduce stories or games at such a moment,” explains Teresa Ayen, a student teacher in Senior 2.